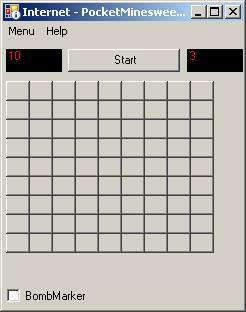 Unpack and copy minesweeperppc.exe to your pocketpc and run it from the file explorer. Fixed error when newgame changed status of the "bombmarker" to false when it was still checked. Please note that this game was based on a programming sample of Fons Sonnemans.